Floren, as he likes to be called, has sliced ham for a number of celebrities, including President Barrack Obama, Robert De Niro, or David Beckham, and for his majesty King Juan Carlos of Spain. 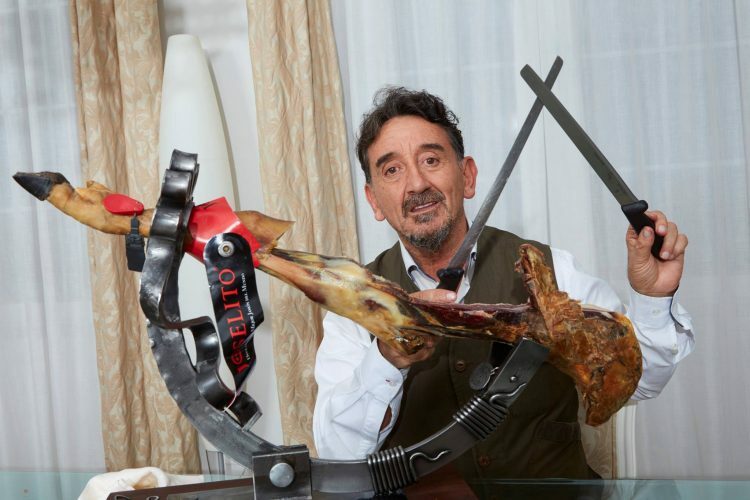 He has performed his jamon-slicing art at the Oscars, Hollywood private parties and at casinos in Las Vegas and Macau. Throughout the year, he follows the Formula 1 circuit, cutting ham for VIPs in the paddocks and lounges of the top racing teams. Slicing machines are apparently out of the question, as far as jamon enthusiasts are concerned, as heat generated by the friction can alter the taste of the ham and melt the fat, thus ruining the whole experience. But while professional ham slicers are present at any decent cocktail party or event in Spain, they usually make around $250 per ham leg. That’s not nearly enough for them to make a living, which is why most of them have multiple jobs. 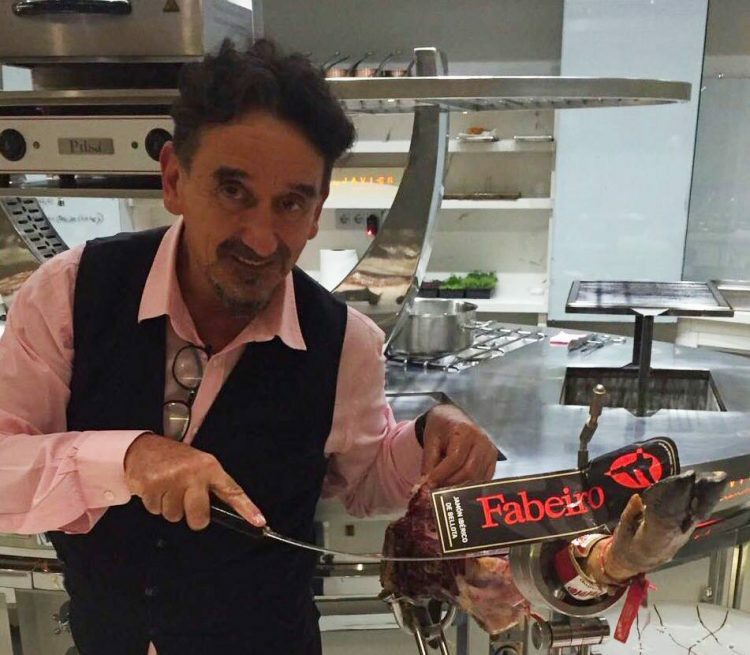 Florencio Sanchidrián, on the other hand, charges around $4,000 for cutting a leg of ham, a process that takes him around an hour and a half to complete. He considers jamon slicing an art form – part cutting skill, part storytelling. While he masterfully cuts slices of ham thin enough to see through, he entertains his audience by giving them information about the pig’s breeding, the history of Iberian ham and the type of jamon they are about to enjoy. It’s an artistic performance, and people are crazy about it. At least crazy enough to pay him $4,000 for it. Other ham slicers, though, not so much. “I admire Florencio as a colleague, but the protagonist of the show should be the ham and not the cutter,” one fellow slicer told The New York Times. But it wasn’t only his dedication to Iberian ham that made Florencio Sanchidrián the famous, well-paid “cortador” he is today, but his quirky rules, as well. He is known for using only his own instruments and not letting anyone else touch them, ever, and for not speaking English, despite his globetrotting lifestyle. “I think it is quite wrong for a ham cutter speak English,” he says.